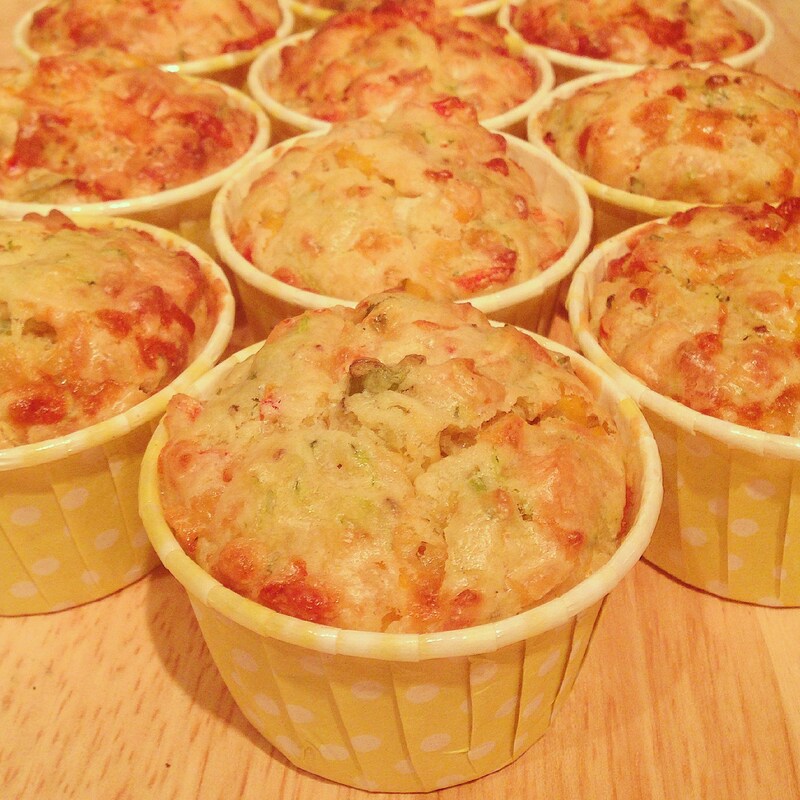 Savoury Cheese & Vegetable Muffins – Food That Makes You Smile! 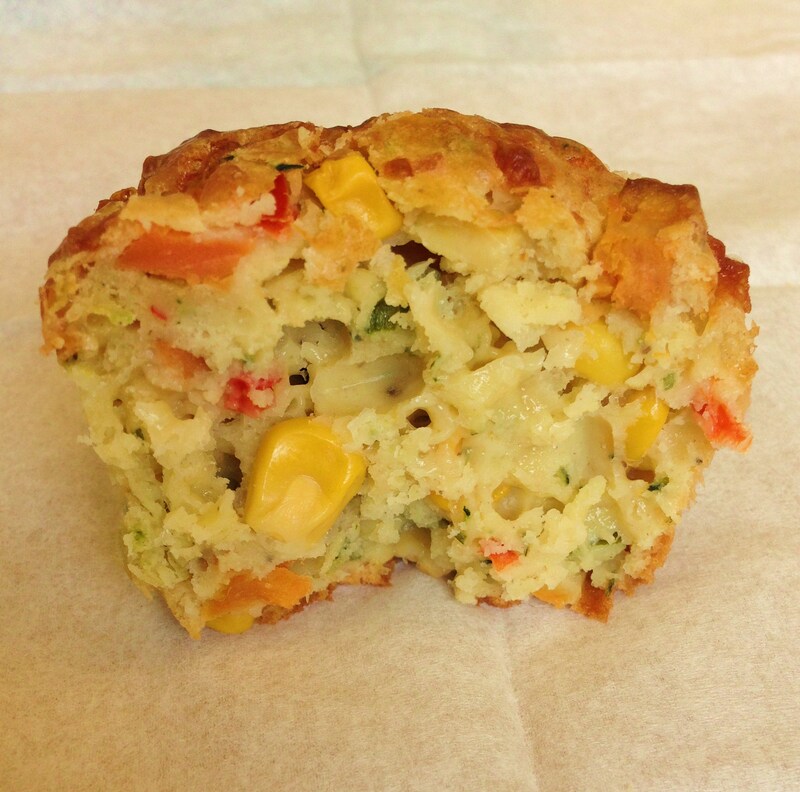 I’ve been craving savoury muffins recently, reminiscing about the delicious ones my lovely friend Sucre Belle made on her last visit to London. So I decided to make some myself to use up half a bag of grated cheese I had in my fridge and the vegetables I’d bought from the market. I looked at several recipes online, but most of them seemed to be over complicated for no reason or didn’t incorporate many vegetables. But then I found and adapted a great one from Julie Goodwin’s website, Australia’s first Masterchef winner. I took these into work the next day and my colleagues loved them – lots of people even asked for the recipe, so here you go guys! 1) Pre-heat the oven to 180°C or gas mark 4. Heat the oil in a pan for 1 minute before adding the sweet potato, ground cumin, 1 tsp salt & pepper to taste. Cook for 2-3 minutes before taking the pan off the heat and tilting it to drain the excess oil. Transfer into a bowl and let it cool. 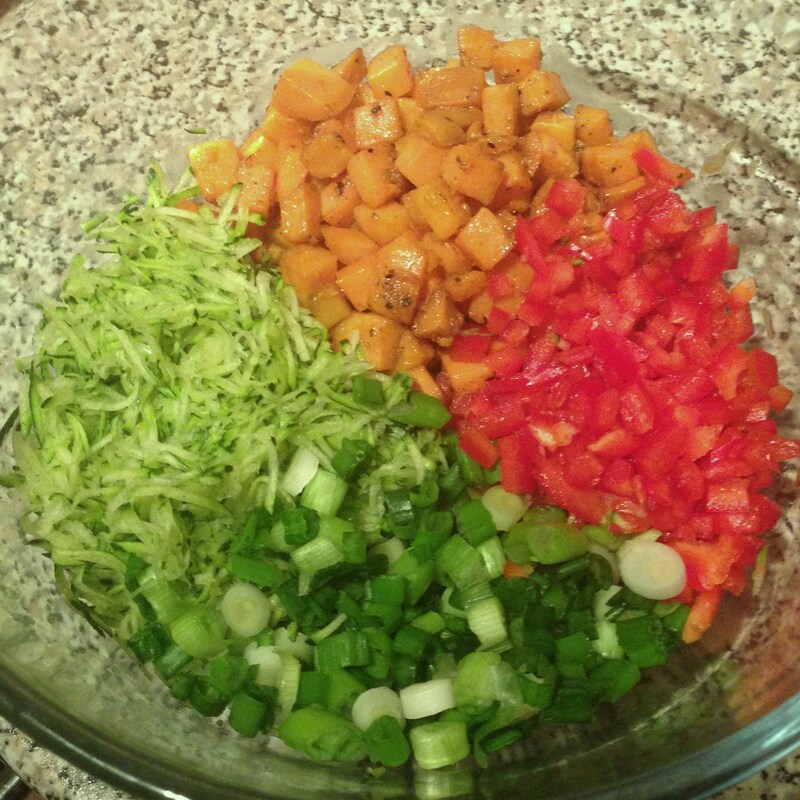 2) Prepare all the other vegetables and place in a bowl. Squeeze as much water out of the courgette as you can. It will clump together, so make sure to separate the strands again. 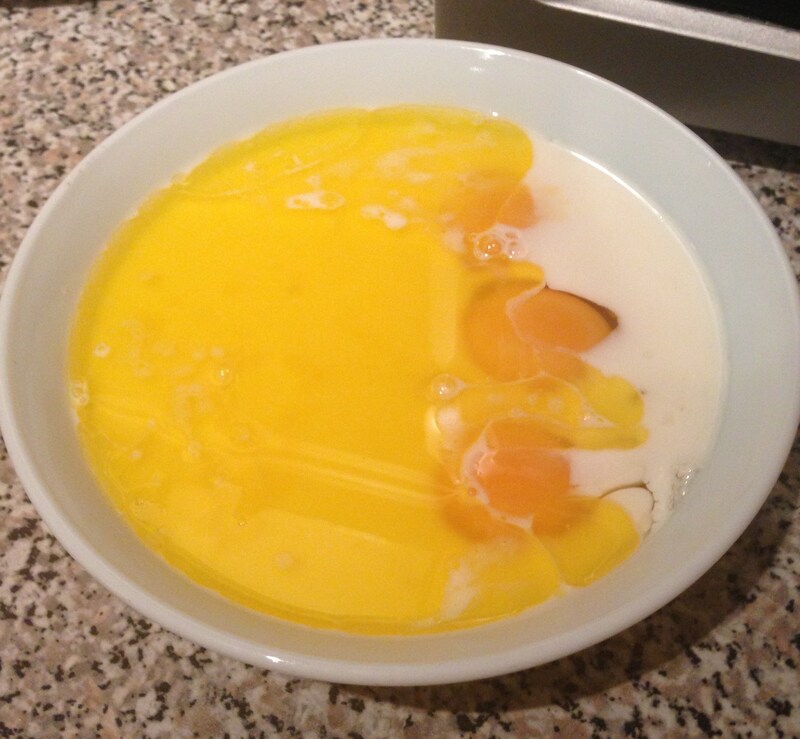 3) In a separate bowl add the egg, milk and melted butter and lightly whisk, then set aside. 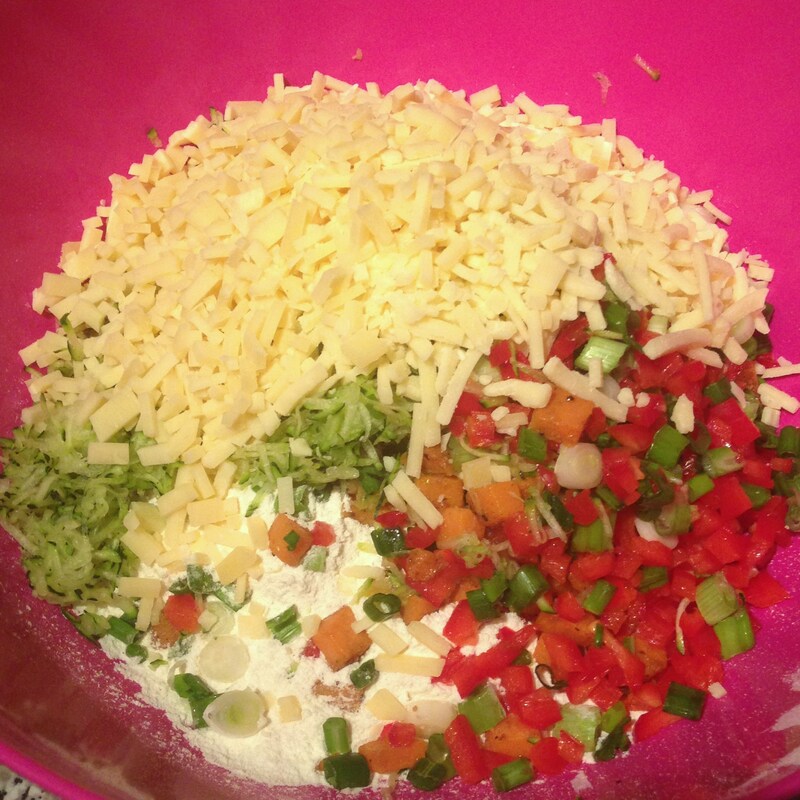 4) In a larger bowl, add the self raising flour, vegetables and cheese. 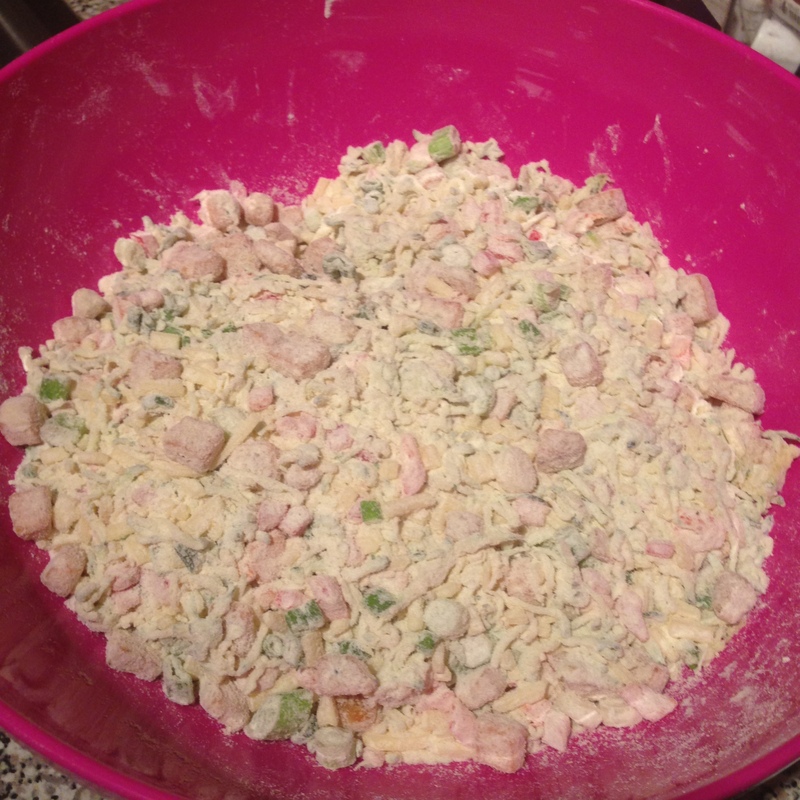 5) Mix the vegetables in with the flour until it is all well coated. 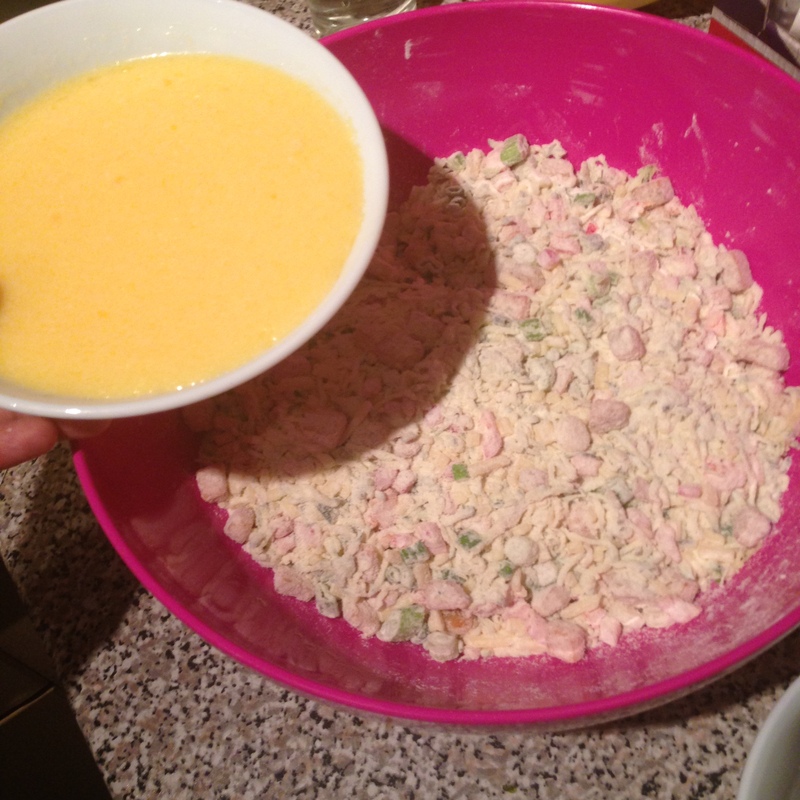 6) Add the egg mixture to the bowl and give it a good mix. 7) At this point, add the last tsp of salt and any additional pepper to taste. I also added 2 tsp of dried tarragon, just because I felt like it, but I don’t think it’s necessary as part of this recipe. 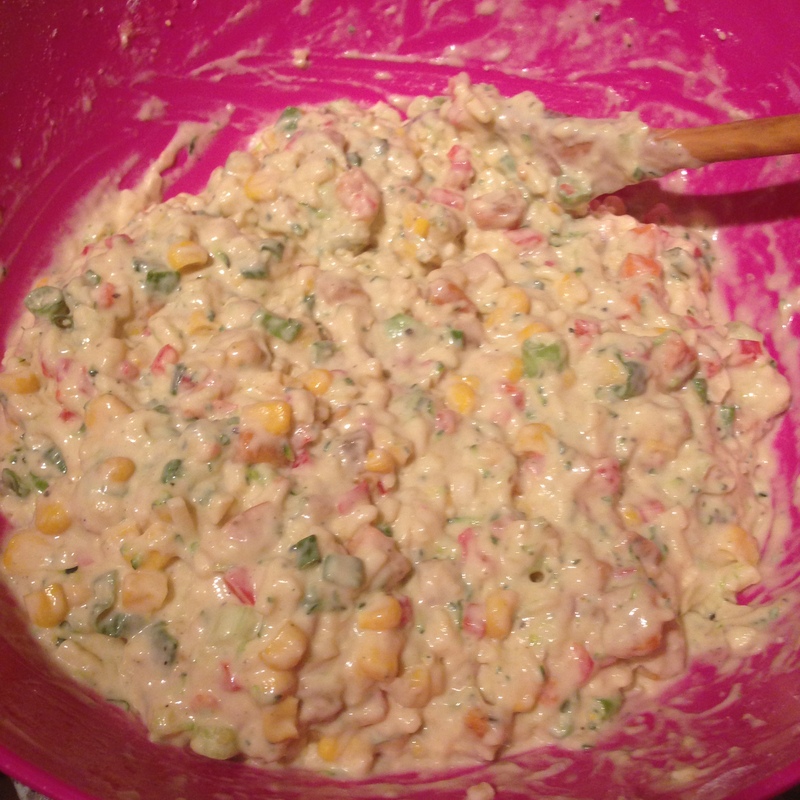 I only decided to add sweetcorn at this point (hence not in the first few pictures) because I thought there may be too many vegetables at first, but I found it actually enhanced the taste. 8) Distribute the mixture evenly into cupcake or muffin cases, filling it approximately 3/4 of the way up and bake in the oven for around 25 – 35 minutes depending on your oven – I baked mine for 35 minutes. Make sure to turn the tray around half way through baking in order for it to brown evenly.